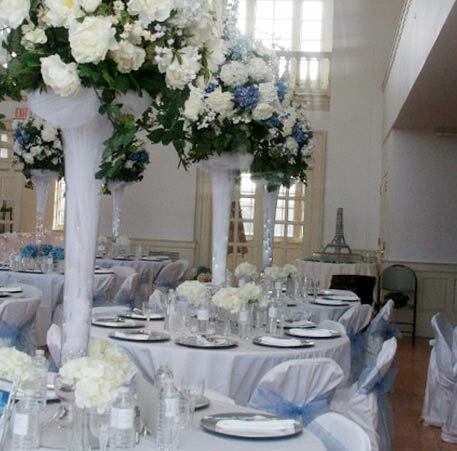 Ensure your special occasion is a success when you turn to Candy's Wedding and Party Design. We offer designing services throughout the Williamstown, New Jersey, area. We provide a detailed consultation to determine your goals and tailor your design ideas to fit within your budget. Our goal is to make your special day a dream come true. Take the stress out of setting up your event so you can spend your time enjoying it. Once you have a venue and a date picked out, we start designing everything. We prefer to schedule events 3 months in advance so we can accommodate to the location and setup process. For smaller events, we can plan everything out even sooner than 3 months. We do, however, prefer to have 3 months of advance notice for them. Before we start the event design process, we make sure we have all the supplies you need on hand. If you want something different from what we offer, we will order them for you. We obtain all the items, set them up, break them down, and send them back to the rental storage facility, so you don't have to worry about a thing. Our past clients often tell us that they did not expect us to provide the amount of work we put into their events.